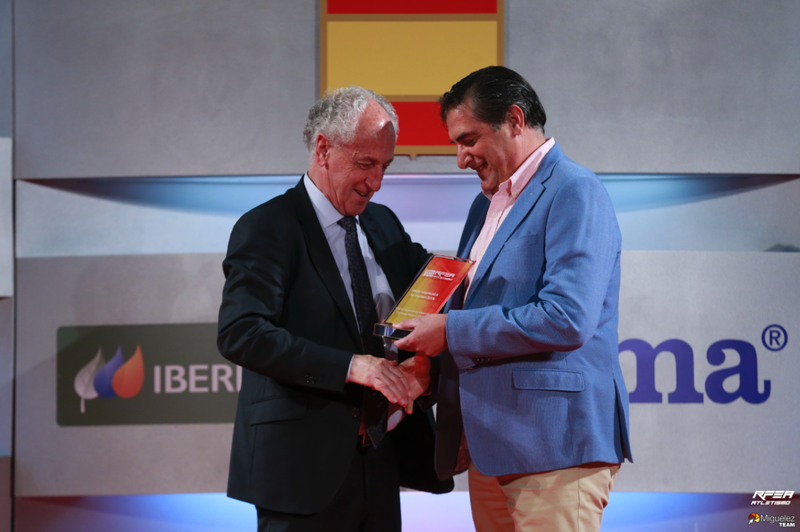 On the 2nd of December, The Start of the Valencia-Trinidad Alfonso EDP Marathon, Spain’s best marathon according to the Royal Spanish Athletics Federation (RFEA), will feature a new box for the 2018 trial. The aim is to continue improving the tempo at which competitors leave The Start and to offer other benefits for amateur runners. This is a new feature that will benefit between 400 and 500 runners but that will not affect the departure of competitors in timed waves. 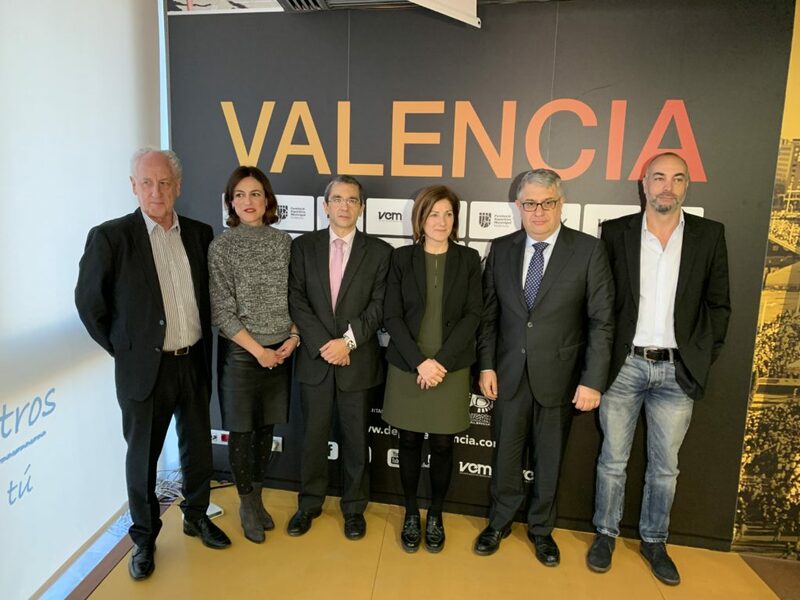 Thus the start of the 2018 Valencia Marathon will continue with four waves, without prejudicing full and accurate timing of all the athletes. However, nine boxes instead of the current eight will improve organisation. The boxes are based on runners’ own estimates of the time to complete the race. The new ninth box will be for runners in the under 2:38:00 group and will hold competitors with accredited times of between 2:25:01 and 2:37:59 (or with equivalent times accredited in the Half-Marathon, or in the 10-kilometre Race). The new box will be for those running in under 2:38:00. It will hold competitors with accredited times of between 2:25:01 and 2:37:59 (or with equivalent times accredited in the Half-Marathon, or in the 10-kilometre Race). This new start box will provide greater service and convenience for those competitors whose running pace is under 3:45 per kilometre, and will also enhance trial safety. 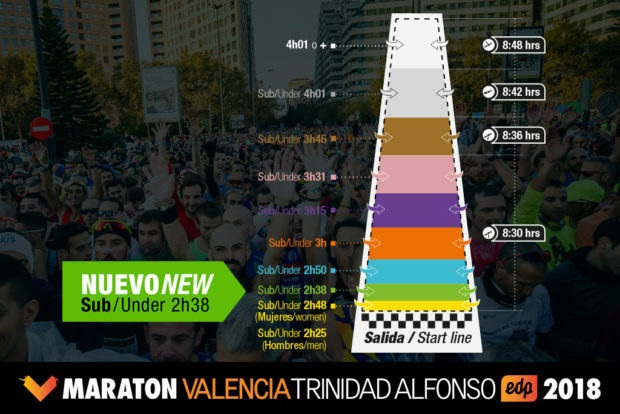 The Valencia-Trinidad Alfonso EDP Marathon’s organisers continue working on improvements to benefit those running in the 38th edition. 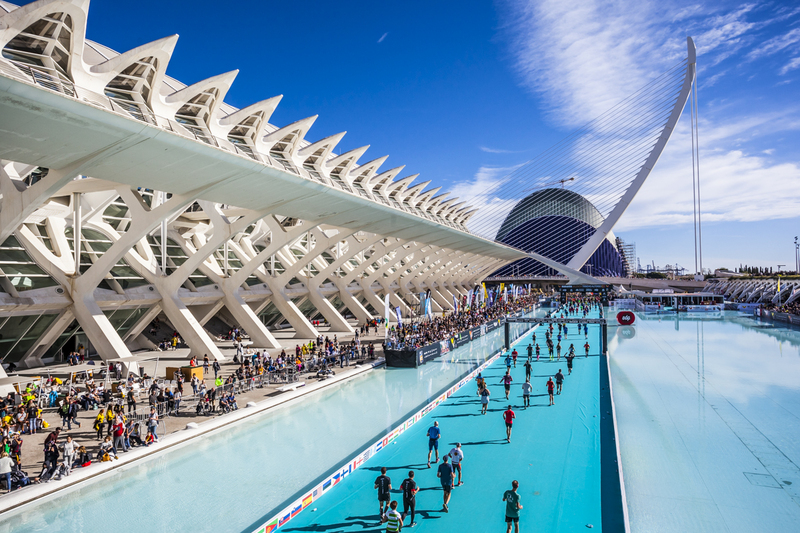 The trial will be held on the 2nd of December 2018 in Valencia — ‘The Running City’, with competitors battling to set new personal records in Spain’s fastest 42-kilometre trial.